“It is obscene that Secretary Clinton keeps going to big-money people to fund her campaign..."
The institute was founded to promote liberal policies less than two years ago by Sanders’ family with the backing of pro-Sanders celebrities and advocates - though Sanders himself had no formal role. While it operates at a fraction of the scale of the Clinton Foundation, it has accepted hundreds of thousands of dollars during its brief existence and has declined to disclose its donors. 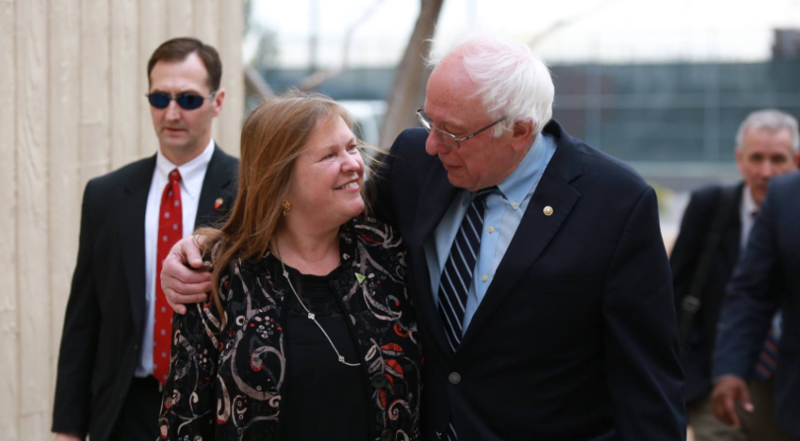 As The New York Post reports, the Vermont-based Sanders Institute is looking to suspend all operations by May - “so there could not even be an appearance of impropriety” - now that the Independent state lawmaker is running for president, his wife explained Thursday. “We just thought, I’m going to be very active [on the campaign trail],” said Jane, 69. Sanders’ Senate campaign has stressed that both Our Revolution and the Sanders Institute have independent boards and are not directed either by his presidential campaign or his Senate office. But some figures have crossed easily between the groups. Institute fellow and Ohio state Sen. Nina Turner recently resigned as president of Our Revolution to be co-chairwoman of Sanders’ presidential campaign.